In non-linear dynamics, sensitive dependence on initial conditions is known as chaos, which is pervasive in fluids. All fluid mechanical systems in nature and technology are prone to chaos. The popular butterfly effect is often stated as follows: if a butterfly flutters in Brazil, it can cause torandoes in Texas . 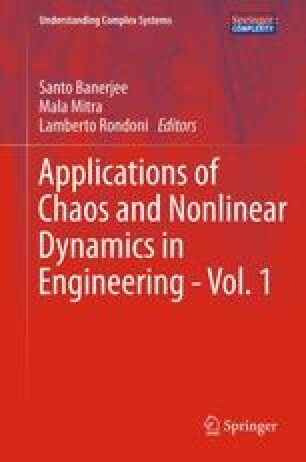 Understanding chaos in fluids is the chief outstanding problem in non-linear science and is often regarded with reverence. To keep it straight and simple, chaos in the context of fluids is known as turbulence and its various facets are well investigated by researchers. However, the outstanding nature of the turbulent flows, continues to attract the attention and fascination of physicists, engineers and Mathematicians alike. The non-linear partial differential equations, given by Navier-Stokes exactly describe turbulent flows. Ideally, it is possible to employ a fine grid resolution and simulate the entire spectrum of eddy sizes that are present in the flow. Thus, temporal and spatial behaviour of fluid motion is described by partial differential equations. By approximating the spatial co-ordinates with a finite grid, a set of algebraic equations can be derived and time marching strategies can be devised. The level of complication increases as fluid dynamics involves multi-degree of freedom systems . The authors are deeply indebted to some anonymous professors from NUS, Singapore and ASU, USA for their insightful comments on an earlier version of this chapter.